A morning joint operation between Los Angeles County Sheriff’s Department Narcotics and Aero Bureaus, and the U.S. Forest Service ended with two arrests, and the seizure of 6,448 marijuana plants, three pounds of finished product and two firearms from the Whitney Canyon area, east of Highway 14. Lt. Dustin Stillwell of the Narcotics Bureau estimated the street value of the plants, in various stages of growth, at $6.4 million. 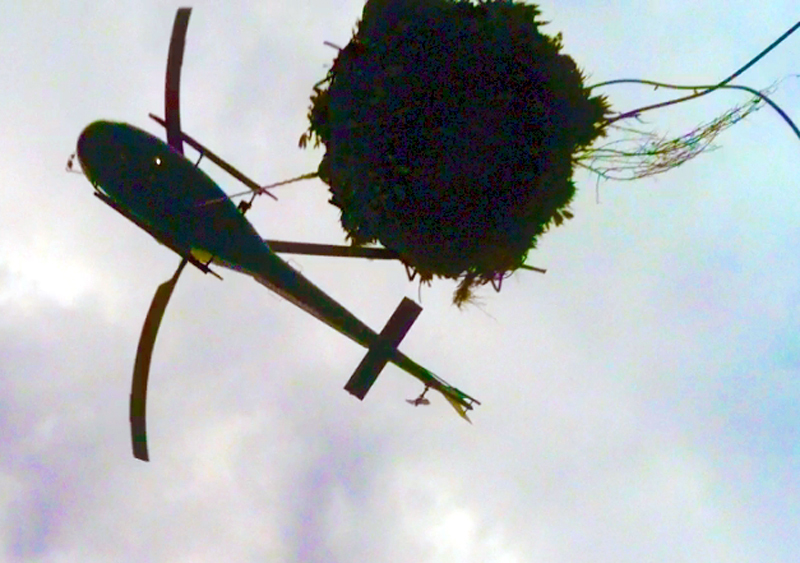 Aero Bureau helicopters collected four cargo nets worth of plants, camping equipment, and farming infrastructure. Stillwell said there was 7,000 lbs. of trash loaded up on a U.S. Forest Service flat-bed stake truck. 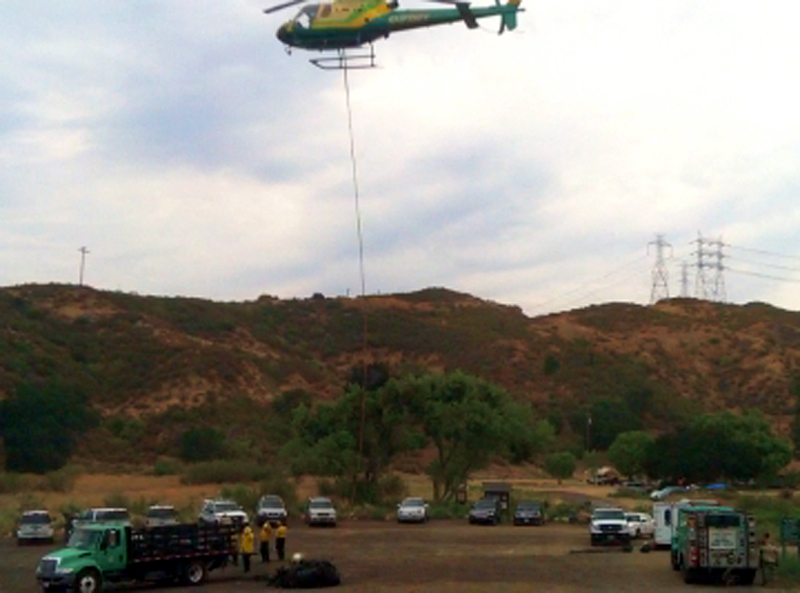 The operation was staged at the Whitney Canyon Park pay parking area around 9 a.m.. Hikers coming and going along the Elsmere Canyon trail stopped to watch and photograph the Sheriff’s helicopter as it deposited its netted cargo on the gravel parking lot. 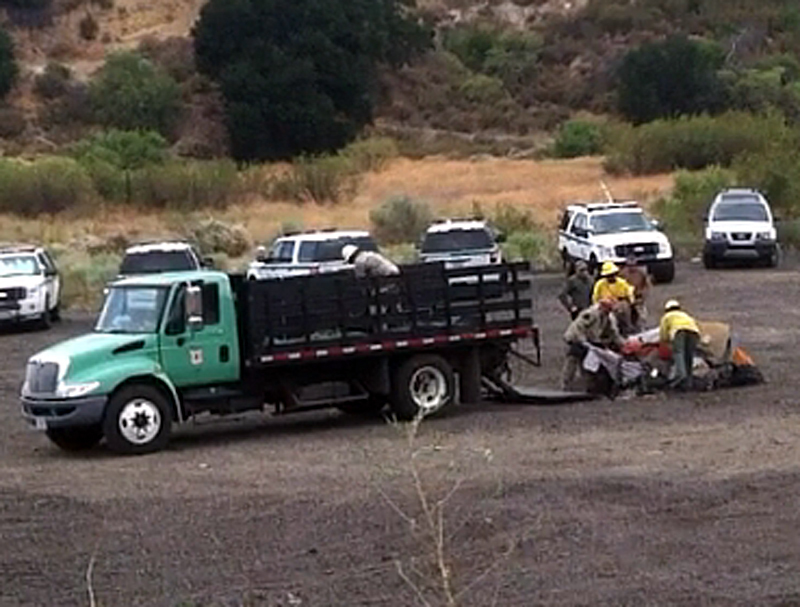 Forest Service workers picked through the haul which included, besides marijuana plants, yards and yards of black irrigation tubing, a propane tank, tents, egg crate bedding, clothing and olive drab duffle bags. Narcotics deputies sorted and tagged plants to aid in the prosecution. The identities and ages of the men arrested were not released. Both are adults.